(Fort Lauderdale, FL) – NSU Art Museum Fort Lauderdale is celebrating 60 years and everyone is invited to the party. To commemorate the 60th anniversary of its founding in 1958, the Museum will hold a community birthday party on Sunday, March 4 from 1 – 4 pm. (One East Las Olas Blvd.) 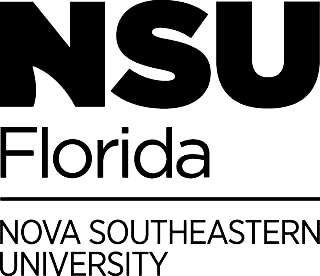 The fun-filled event, which also celebrates the 10th Anniversary of the Museum’s affiliation with Nova Southeastern University, will feature art activities for all ages, music and performances, festive food, and birthday cake for everyone to enjoy. Admission is FREE. NSU Art Museum’s 60th Anniversary is presented by AutoNation. Among the activities will be guided tours of the exhibitions Frank Stella: Experiment and Change and Midnight in Paris & New York: Scenes from the 1890s – 1930s, William Glackens and His Contemporaries. Guests will also enjoy an art scavenger hunt, games, and creativity stations featuring interactive art projects using different mediums. As a nod to years gone by, the Museum Café will be rolling back its prices with a selection of special retro menu items. Additional support for the 60th Anniversary is provided by Celebrity Cruises; The Forman Family: Austin & Christine, Miles & Tara; Community Foundation of Broward; and John Knox Village. Local Media Partner: WSVN Channel 7. Hotel Partner: Diplomat Beach Resort.